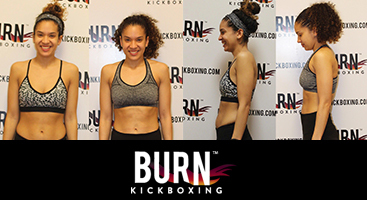 Burn Kickboxing of New York. Sign Up For a Class Today. 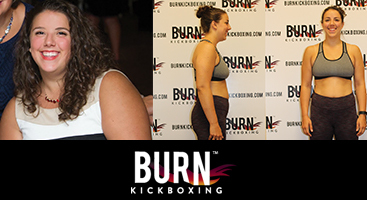 With Burn Kickboxing not only do I get amazing workouts, but an amazing all around support system pushing me to reach my goals. 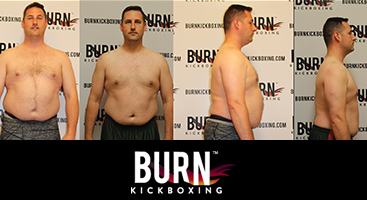 Burn has helped me reach my goal of living a healthier lifestyle, and I am loving my results. Having had brain surgery in November 2016, I struggled with the inability to exercise. The pain from surgery and just feeling unhealthy was there until I found Burn. I fell in love with Burn within seconds. I am back on my journey to feeling healthy and strong. 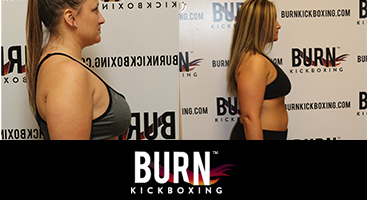 Burn trainers can see members transition to a healthier and stronger self. I hope they also feel what they do to member’s heart and soul. I am and will always be forever grateful! When I joined the 6-week shred I was looking for something to motivate me to exercise on a regular basis. I found out quickly that Burn was exactly what I needed. There is not a negative whisper in the building at all, and everyone is there aiming to better themselves not just physically but mentally as well. Feeling the BURN has changed my life and I have never felt better! DOWN 20 lbs & 7 INCHES! 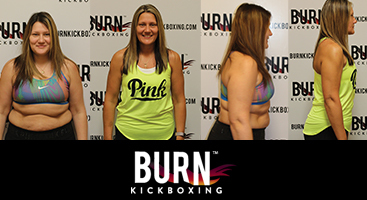 AT BURN KICKBOXING, YOU CAN ACHIEVE YOUR GOALS! 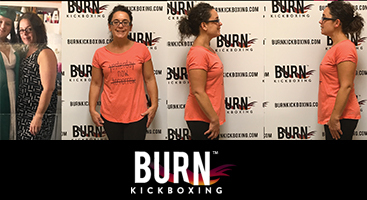 Burn Kickboxing really brings the excitement of something new in the community, their energy, the trainers, and availability of classes… I really enjoy. All of the people there are helpful and kind. And, what I love most, is that you can achieve your goals and feel great about getting to where you want to be. DOWN 25lbs AND 10 INCHES! I WAS HOOKED THE FIRST DAY I CAME IN FOR CLASS! I was hooked the first day I came in for class and I’ve never stepped foot in a gym before. The multiple class times make it very easy to attend when it works for my schedule. I come 4-5 times per week, I love it so much! DOWN 28 LBS AND 10 INCHES OFF WAIST. I LOOK FORWARD TO WORKING OUT NOW… THIS IS THE REAL THING! When I first started at Burn I was nervous to say the least. I had never done a kickboxing class and didn’t know what to expect. But once I came to the first couple classes I was like WOW, this is the real thing! The motivation and the energy that the instructors have is absolutely AMAZING and super-contagious. I actually look forward to working out now. The trainers are such a great group of people and I’m so glad I joined. Thank you so much! This really changed my life. DOWN 40LBS AND 24 INCHES. In nine months, I lost 40lbs and a total of over 24 inches! 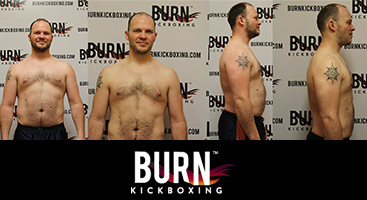 When I started at burn in I was in the worst shape I had ever been in my life. I was living an extremely unhealthy lifestyle, eating whatever I wanted, and never exercising. I had steadily gained weight over a several years and I was definitely reluctant at first. After the first class, I was hooked because of the amazing instructors, who take the time to get to know each of their members, and the welcoming, judgement free atmosphere that exists between members. Soon I noticed myself losing weight, gaining strength, and pushing myself harder and harder in classes. In nine months, I lost 40lbs and a total of over 24 inches! Down Body Fat %! My weight is up, body % down, and I feel amazing! It’s amazing how much healthier I am. My weight is up, my body fat percentage is down and I feel better than I ever have! From my posture, to strength, mentality and even muscle definition and food choices. It’s amazing what hard work, dedication, and a group of amazing people cheering you on can produce in such a short amount of time. I’ve never come across a place like Burn. A place where you go to get an amazing workout (and trust me you get that) but, you also leave with so much more, including laughs, support and a room full of strangers who in a second of starting your first class, become family. When I’m not at Burn I’m literally counting down the minutes until I am! Down 28lbs and 10 inches off waist. This has helped me change my lifestyle into a much healthier one! Down 19lbs and 5.5 inches! I have more motivation and energy than I’ve ever had before! 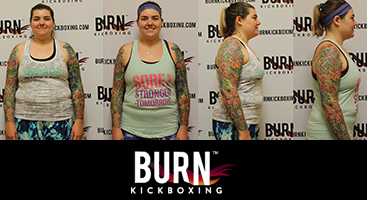 My experience here at Burn Kickboxing has been amazing. It has helped me change my lifestyle into a much healthier one! It had also given me more motivation and energy to work towards my goals. 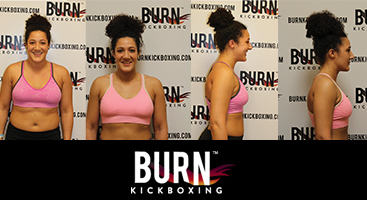 What I like most about Burn Kickboxing are the instructors. They aren’t in this to just teach you things, they are in this for YOU, just as much as you are for yourself!